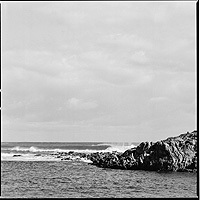 Born in Mauritius in 1966, Ian and Erick Regnard migrated to Australia in 1983. Living on the ocean as kids they were influenced by the world of Jacques Cousteau. 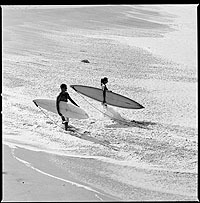 Surfing in Tamarin Bay from the age of 15, surfing photography appealed to them. 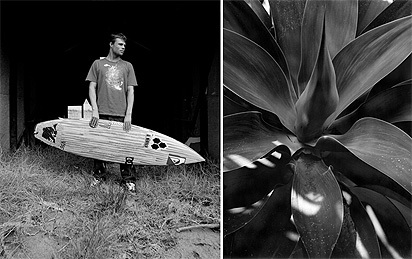 Tungsten was established in 1991 and their photos were submitted to Surfing Life Magazine and Wetside News on a freelance basis. 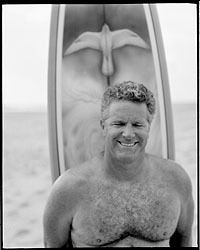 In 1992 Erick was invited to photograph the first ever Surfing contest in Vietnam since WWII. 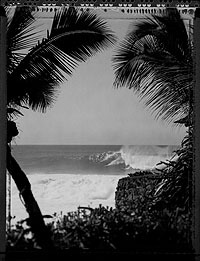 Since then the appeal of world travelling taking photos became a must to get images of surfing required by magazines. This took Erick to numerous places such as Madagascar, Indonesia, Tahiti, Cuba, Hawaii, France, South Africa, Reunion Island and of course Mauritius. 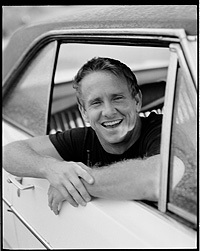 In 1995 Erick was commissioned to work for National Geographic as their Production Manager and assistant Cinematographer on endangered species in Mauritius and developed an understanding on conservation. In 1997, Oxbow commissioned Tungsten to capture on 16mm film, three windsurfers for their movie. That year Tungsten consolidated a partnership with Nikon for support that is still ongoing today. Also during that year the Festival of Perth required some photos of artists, which was taken in Black and white. They then became the official photographers of the Festival and this started a roller coaster to work with black & white photography expressing perception and art rather than sport and action. Today with more than 40 Worldwide Magazine covers under their belt Ian and Erick are the senior photographers for Tracks Magazine and submit their work to more than 25 magazines worldwide. Their black & white work has been recognised with contracts from Libraries and Magazines. 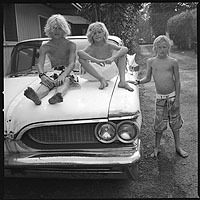 Their last black & white exhibition 'on unfavourable days' portrayed photos of famous surfers and received acclaims worldwide. 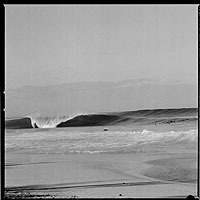 This was the first surfing exhibition to travel worldwide. Their last project was a calendar called 'surfeur nes' and was a collection of black & white photos of the best 12 French surfers naked. Today Ian & Erick are working on numerous projects which will test their skills as photographers and push the boundaries of photography a little further. Tungsten supports Greenpeace, The World Wide Fund and The Cousteau Society. Both brothers surf together when they are back home.